Integra, has just announced their new DTM-40.7 Network Stereo Receiver, which includes advanced custom installation features. The DTM-40.7 includes hand-selected, audio tuned parts to ensure reference-quality performance. Included in this parts list are the AKM AK4452 384kHz / 32-bit hi-grade Digital-to-Analog chipset plus a massive high-power transformer paired to two custom-made 8,200 µF high-current capacitors and a non-phase-shift amp design. With 80 watts-per-channel (8 ohms) and 110 watts-per-channel (6 ohms) the new DTM 40.7 has sufficient power to run most home-theatre applications. An anti-vibration oval chassis with an anti-resonant extruded aluminum front panel ensures that aberrations are minimized. The DTM-40.7 features Bi-Directional Ethernet, RS232 and programmable 12V triggers. Auto-Power On/Wake-Up via optical audio sensing is a yet another unique, “custom” friendly feature that, when combined with power on volume settings, makes it easier to integrate 3rd party sources like AppleTV and Sonos that are primarily app driven. 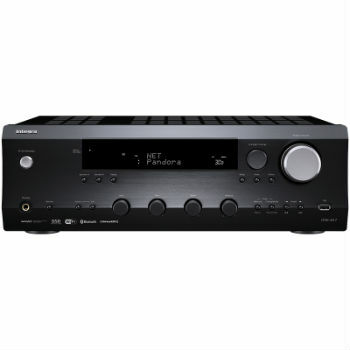 Zone 2 options include Pre/Line-out for playback in another room; Zone 2 DAC for Airplay, NET and USB sources, and a Zone 2 subwoofer pre-out and independent Zone 2 bass, treble, and balance control. Integra makes it incredibly easy to access and enjoy audio files mastered in high-resolution and stored on a computer, media server, network-attached storage or USB thumb drive with zero loss in audio quality including DSD 5.6MHz and FLAC. 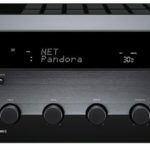 The DTM-40.7 includes Wi-Fi LAN compatibility; Bluetooth version 2.1, Apple AirPlay support, as well as support for Internet radio and music streaming services like Spotify Connect, Deezer and TuneIn Radio. 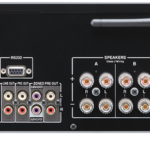 The new DTM-40.7 also included numerous inputs & outputs including 4 digital audio inputs (2 optical/2 coaxial) and 6 analog audio inputs and 2 outputs, not including a separate phono input for a turntable.